These contractual General Conditions are intended to establish the terms and conditions that govern the provision of services by Casa do Bairro da Tapa – Alojamento Local e Serviços Complementares, Lda. – hereinafter called “Casa da Tapa 7” – , a limited company with offices in Rua Conselheiro Adriano Gonçalves Pereira n.º 7, 5450-007 Vila Pouca de Aguiar, Portugal, and registered at the Commercial Registry of Vila Nova de Gaia, with VAT number PT514489545. 1. The General Conditions govern the terms under which the products are offered to customers. In the event that individual services have particular conditions, these shall prevail over these General Conditions, as will any others that are expressly agreed in writing between Casa da Tapa 7 and the customer. By purchasing a service the customer accepts all the terms and conditions set forth. 2. Payment terms may vary according to the service provided. In the absence of specific conditions general conditions apply, under which the customer must pay 50% of the service price at booking, and the remainder at the start of service (check-in), unless previously agreed diferently. 2.1. If the reservation is made 7 days or less before check-in date, the customer must pay 100% of the service price at booking. 2.2. Reservations may be cancelled by Casa da Tapa 7 if the customer fails to make the payments under the conditions set above. 2.3. On reservations made using online platforms (or any of its subsidiaries) such as Airbnb, Booking.com, Homeaway or Tripadvisor, all payments will be dealt by these websites. 3. Cancellation of a confirmed reservation up to 30 days before the start of the service will result in an admin charge of 20% of the booking payment. The remainder of the booking value will be refunded minus any transaction charges that may be incurred in the process by Casa da Tapa 7. 3.1. If a cancellation occurs less than 30 days before the start of the service, there is no reimbursement. Moreover, once the stay has commenced, the customer is not entitled to refunds for any unused services. 3.2. 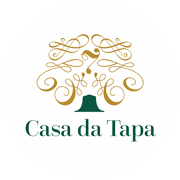 Any cancellations within 48 hours of booking (and provided these are more than 30 days before the start of service) will be refunded, minus any transaction charges that may be incurred in the process by Casa da Tapa 7. 4. Value added tax (VAT) is included in the final price of services. 5. Where there are compelling reasons, the accommodation unit may be replaced by another of equal or greater category, by written agreement with the customer and without any increase on the price already paid. 6. If for any unforeseen circumstances force Casa da Tapa 7 has to cancel a reservation through no fault of the Customer, or if the customer does not accept a change to his reservation under the provisions set out in point 5 of these conditions, he/she will be entitled to a full refund of the monies paid. 7. A child under two years of age can stay free of charge, provided that it’s in the same room of the responsible adults, and that the number of children up to that age does not exceed one. Customers should nevertheless inform Casa da Tapa 7 on the number of children under two years old who are included in any reservation. The acceptance of the booking may depend on number of cots and /or extra beds available, as well as the space available in the bedroom unit. 7.1. It is the responsibility of the customer to provide information about the number of people (adults and children) who will occupy the accommodation unit. In case more people than those booked show up, their entry may be refused without right to reimbursement. Furthermore, if more occupants than the ones booked are found to be staying, all occupants of the house will be asked to leave without any reimbursement. 8. Check-in time is from to 14h00 to 21h00. Check out time is until 11h00. Exceptions may be permitted, provided they have no effect on other reservations and/or the cleaning work of the housing unit. 9. Casa da Tapa 7 offers lodging on a self-catering basis and provides all necessary equipment for independent cooking and meal preparation, but does not provide any cooked meals. 10. The customer is obliged to compensate the Casa da Tapa 7 for any damage caused to the housing unit and/or any support or facilities as well as all damages arising from breach of the obligations set out in these conditions general, including without limitation attorneys’ fees and court costs. 11. The customer can pay for services via cash, bank transfer or PayPal. All bank transfer costs are up to the buyer. Paypal payments incur in a 4% admin fee. 12. Casa da Tapa 7 reserves the right to change these Terms and Conditions at any time. 14. These general terms and conditions of business are subject to Portuguese law. Casa da Tapa 7 reserves the right to change these booking conditions as well as the contents of this website for any reason and without notice. When customers make a booking it is their responsibility to check these terms for changes. By accepting these terms you confirm that you are of sufficient legal age to use this web site and to create binding legal obligations for any liability you may incur as a result of the use of this website. Casa da Tapa 7‘s failure to enforce at any time or for any period any one or more of these terms shall not be a waiver of them or the rights attaching to any of them.